A tower crane has collapsed onto a block of flats in Russia, smashing through several floors of the nine-storey building. 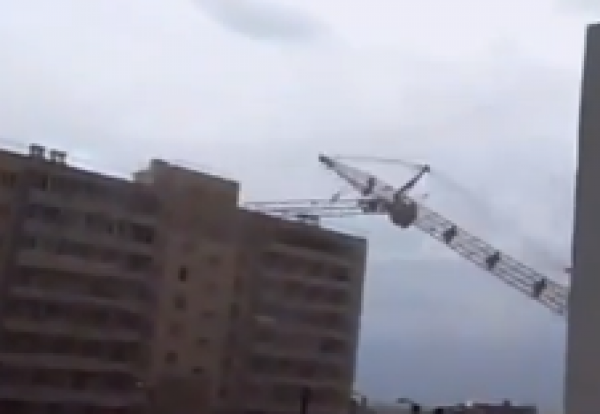 Terrified people told how they ran for their lives as the construction crane toppled over and tore through balconies at the front of the building in the Russian city of Kirov. Miraculously, nobody was injured in the complex although several cars parked outside were badly damaged in the incident late on Sunday afternoon. The rail mounted crane was caught in strong winds thrusting it along the tracks before it hit the buffers and toppled over.